Another weekend of not getting much done. Not good. Looking forward to a better week. 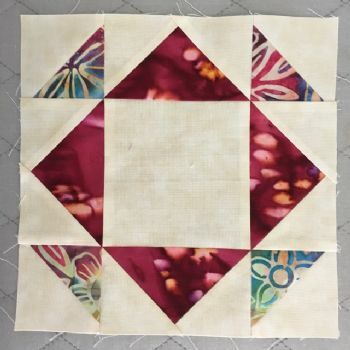 Today's block - Cypress - is fun, enjoyable, and I love the batiks.